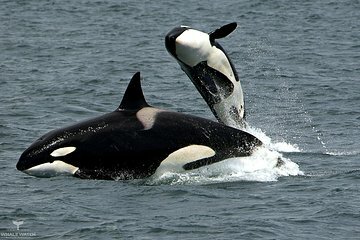 Learn about and spot orca whales on this all-day tour in Bremer Bay. After a 2-hour drive from Albany, arrive at the Bremer Bay Boat Harbour to explore the whales’ natural habitat in the Southern Ocean. Bremer Canyon is a feeding ground for orca, as well as sperm, beaked, and pilot whales as they hunt in the nutrient-rich waters. Other marine wildlife you may spot include dolphins, sea lions, migratory Antarctic seabirds, sunﬁsh, and sharks (including Great Whites).